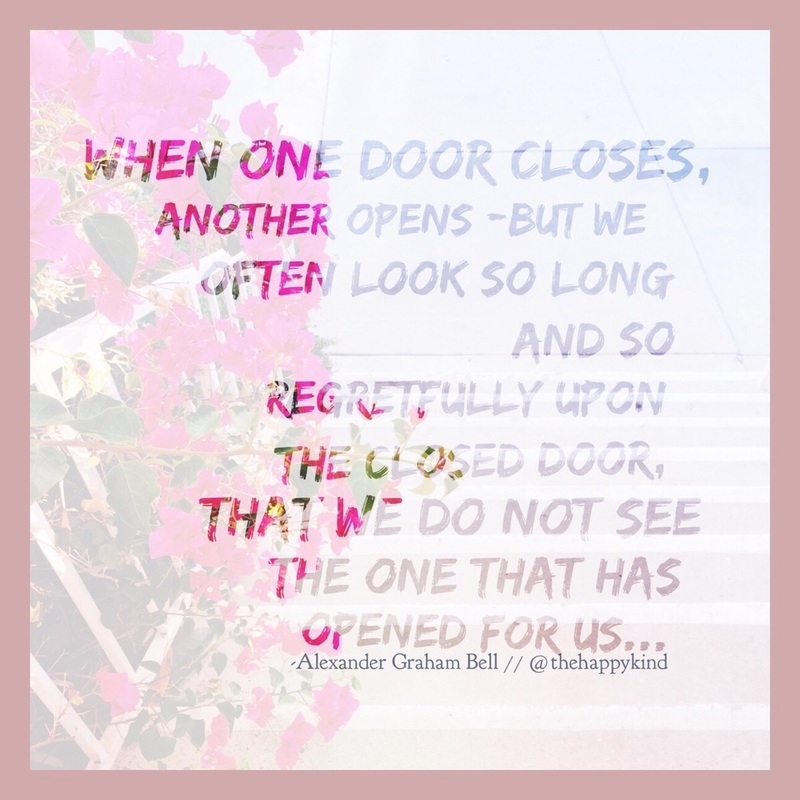 Doors will open and doors will close, but I encourage you to not dwell on the closed ones. Don't miss out on your new blessings by focusing on the past. I encourage you to focus on and see all the good you've been blessed with and to always remember that sometimes what you think is man's rejection, is actually God's protection.